My best friend's wedding is less than 2 months away! I'm very excited about it. I'm head over heels about being the maid of honor for a million reasons. One such reason is the excuse to wear a really fancy hairstyle, on which it's perfectly acceptable to spend a lot of time and energy. I've decided to try several different hair options over the next few weeks, record them here on the blog, then pick a winner on the week of the wedding. 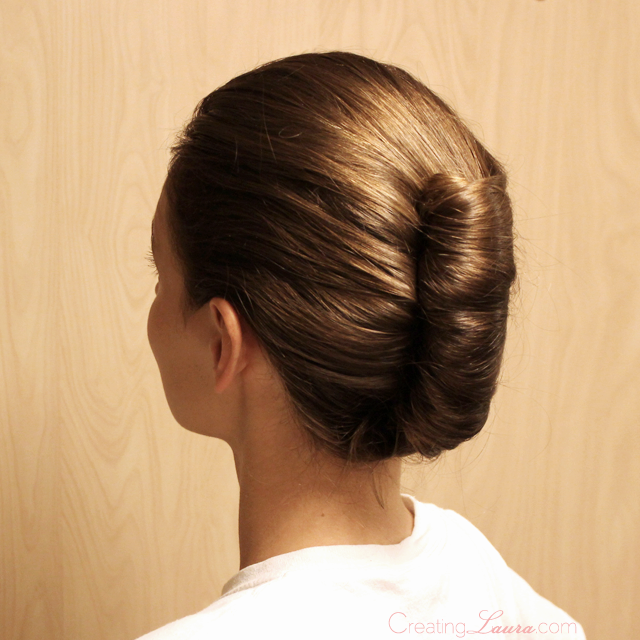 The first style I'm trying out is a french twist. 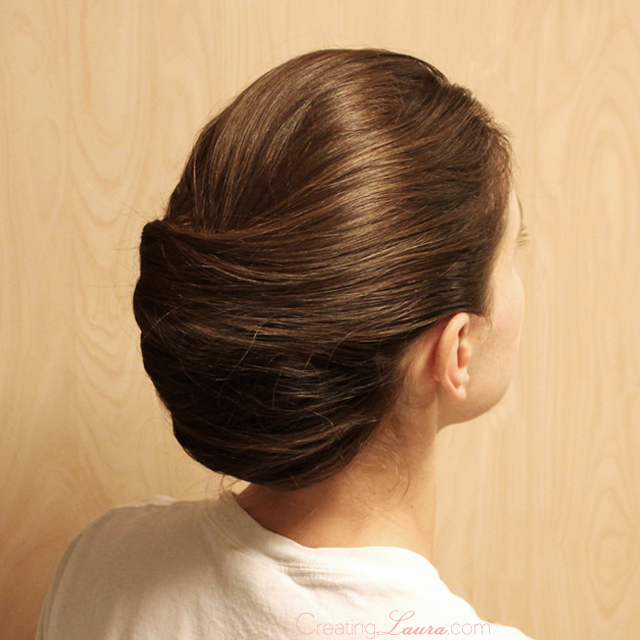 It's simple, classic, and elegant, and I've actually never succeeded at doing my hair like this until today. The cause of my sudden french-twisting abilities is the Fine Frenchy tutorial from The Beauty Department. 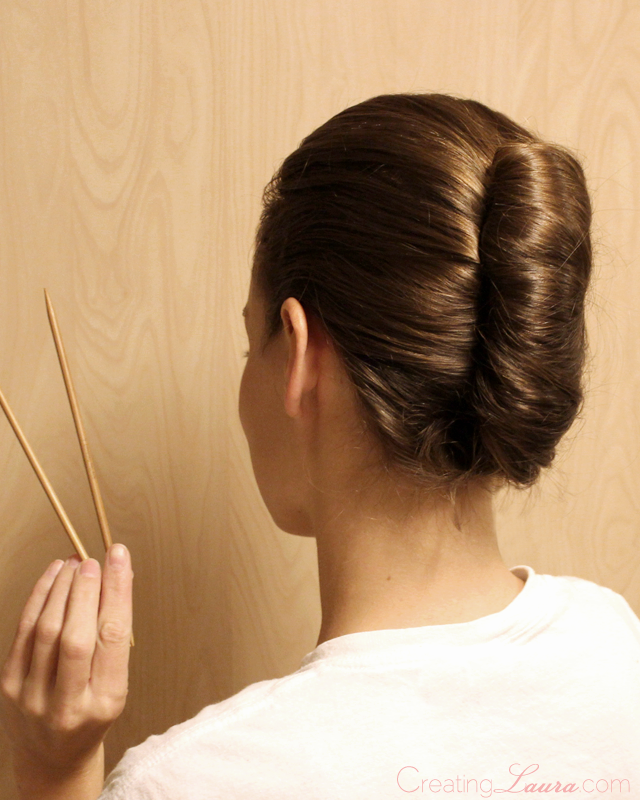 I didn't have any chop sticks to twist my hair with, so I used knitting needles instead, but this whole concept was a total game changer for me. 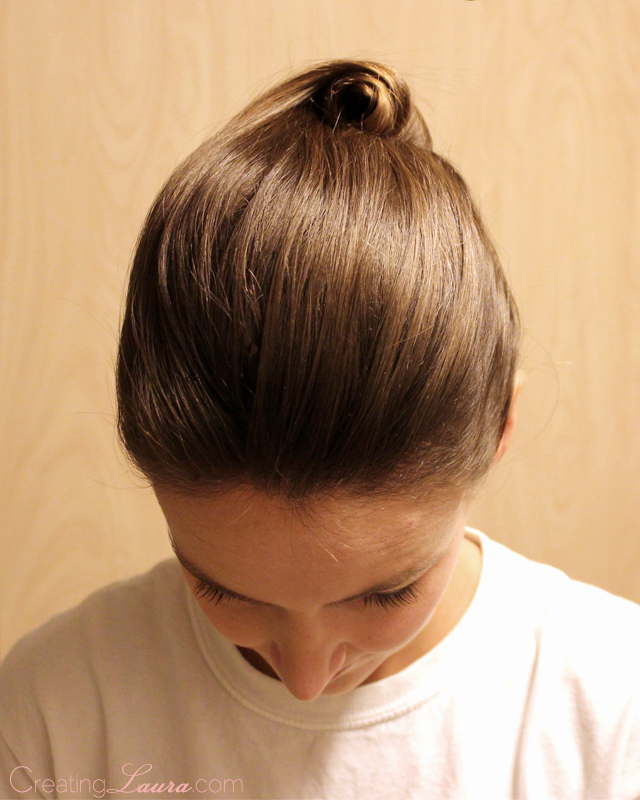 I've still got my hair in the twist as I type this, and I'm going to keep it in all evening to see how it holds up. I want my hair to look chic for the entirety of the wedding, not just the first hour or two, so staying power is an absolute must. Have you ever tried the chop stick twisting technique? I'm DYING over this! Also, can you teach me? I've been trying to french twist my hair for years and it's always a disaster. And I know you have a lot of hair!